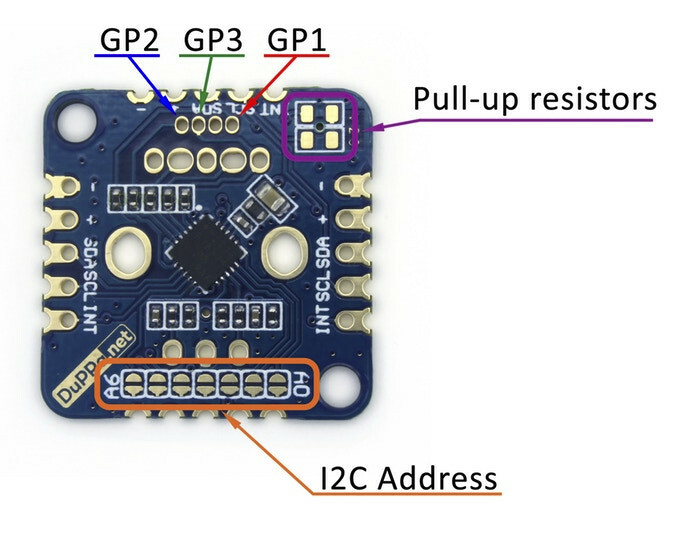 Simone Caron has decided to tackle this issue by creating an I2C encoder board, which works with various encoders, and whose second revision is now offered on Kickstarter. 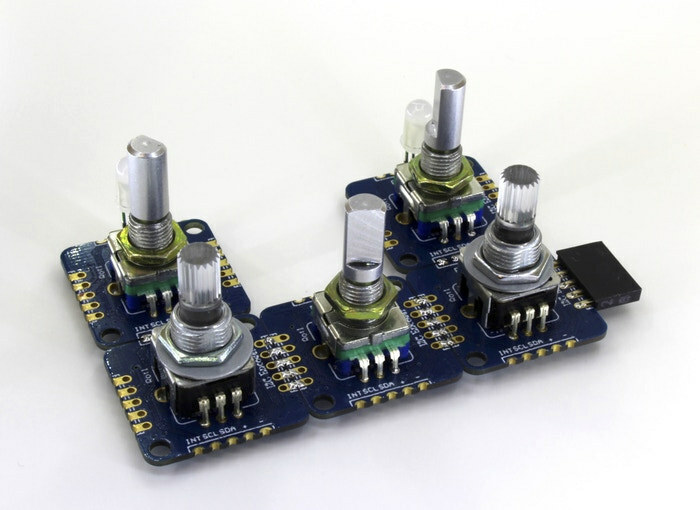 The I2C Encoder V2 board supports standard mechanical encoders, illuminated RGB encoders, and clickable rotary encoders, each of which may be with or without dent. The board also comes with 3 GPIOs following RGB LED footprint, but also usable as PWN, GPIO, or ADC, and each board’s I2C address can be configured with some soldering on A0 to A6 pins. Finally, the board also include 256 bytes of EEPROM with registers for configuration, and user data storage (128 bytes). I2C Encoder V2 is compatible with any device that has the I2C bus including Arduino, Raspberry pi, and ESP8266. and you’ll find library and code samples for the first two, as well as the board’s PDF schematics in Github. The project has raise over 4,000 Euros so far, surpassing its 1,000 Euros target, and pledges start at 6 Euros for the board only, but you may want to add 3 Euros for one RGB encoder and/or 2 Euros for one rotary encoder + RGB LED. Shipping adds 6 to 9 Euros depending on destination country and selected rewards, and you should expect your reward around September 2018. 6 Euro? That’s a lot for what it does. I wish them luck, but unless they can get this down into the sub Euro range, this won’t really survive.